Are you familiar with e-commerce or Shopify Partner? Is your company looking for a better e-commerce solution? How much do you shop online? Do you find it easier to hop online and navigate to your favorite retailer? Add a few things to the shopping cart and check-out, all from the comfort and convenience of your home? It is not surprising that e-commerce continues to be on the rise. More and more stores gravitating towards the online markets. 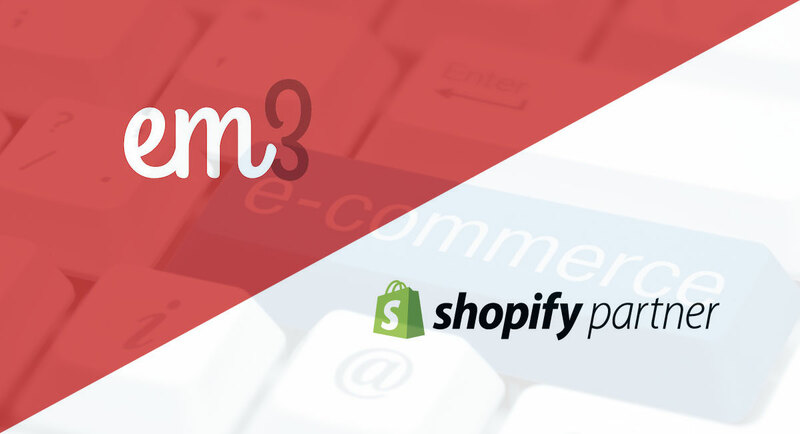 At EM3 Services we are capable of utilizing tools like Shopify that make the process much easier for companies and clients. We find ourselves interacting more and more with retailers and traditional brick-and-mortar stores opt to open up online storefronts. They are looking for the right solutions to power their store. Furthermore, that’s where our experience of being a Shopify Partner comes in the picture. 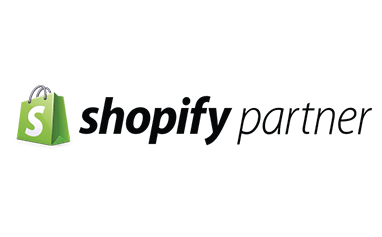 First of all, lets start with a brief overview of what Shopify is all about. Shopify started in 2005, as a snowboard company. It has now grown to become one of the most popular engines for powering a variety of online shops. Today, there are over 500,000 businesses in 175 countries that are using Shopify. Shopify is a comprehensive solution for e-commerce. Companies that use Shopify have full control over their store’s design. The engine is complete, handling payments, inventory and all the other things needed to run a successful online store. And you don’t need to be a huge multinational corporation to have an online store. Nearly 98% of Shopify’s members are small and midsize businesses, and entrepreneurs. You have home-based businesses graduating from Etsy and you have “brick-and-mortar” migrating to “brick-and-click” through Shopify. Yes, it is great that these entrepreneurs, and small and midsize businesses are making an easier transition to their online stores. There is a developmental side to Shopify that will require professional assistance that EM3 Services can provide. 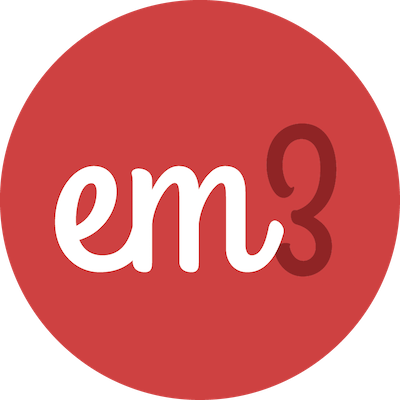 By partnering with Shopify, EM3 Services works with a world-class product that provides our clients with the customized commerce experiences they want now, and in the future. Shopify is made for merchants, allowing us to smoothly hand-off our work to our clients with minimal training and support debt. There are tons of new entrepreneurs and existing small business owners who are actively seeking out the best possible solution for their online stores. Our clients want their solution to be user-friendly. They want it to be powerful enough to handle their needs. And they want their online stores to look good. Shopify address all of these concerns and we are excited to be partnering with Shopify to bring this experience to your e-commerce project. Adobe Systems Inc. has agreed to buy e-commerce platform Magento for $1.68 billion, in a bid to grab a larger piece of the e-commerce industry from Salesforce.com Inc. and Oracle Corp. Combined with Adobe Experience Cloud, the Magento Commerce Cloud will bring digital commerce, order management and business intelligence to enable both B2B and B2C shopping experiences across the customer journey, Adobe said Monday in a statement. Campbell, California-based Magento is the leading platform for open commerce innovation. Every year, Magento handles over $155 billion in gross merchandise volume, and customers include Canon Inc. and Rosetta Stone Inc. EBay Inc. sold Magento in 2015 and it has been backed by private equity firm Permira Holdings LLP. Adobe has gone out of it’s way to diversify from the digital media products that made the company one of the world’s biggest software companies. The deal is smaller than Adobe’s purchase of Omniture back in 2009, which made Adobe a player in digital advertising. 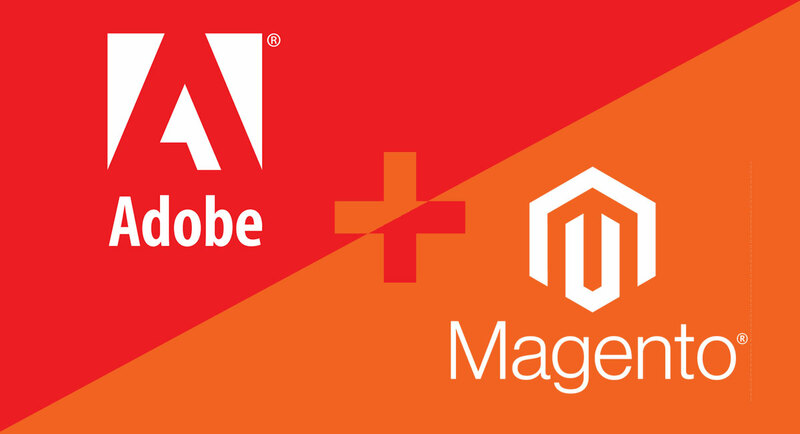 The Magento purchase would see Adobe battle cloud-based commerce services from Salesforce, Oracle and SAP SE. This part of Adobe’s business, known as its Experience Cloud, produces less revenue and grows slower than its creative software offerings like Photoshop. Not stopping there, Adobe has also announced an $8 billion share buyback program through 2021. The program is expected to be funded from its future flow of cash from operations and won’t have any material impact on the company’s earnings this year. It is built on the company’s current $2.5 billion repurchase plan scheduled through fiscal year 2019, Adobe said in a statement. “The Magento acquisition is the latest confirmation of the lines between sales, service, marketing and e-commerce blurring faster than we can recall,” Stifel Nicolaus & Co. analyst Tom Roderick wrote in a Tuesday report. Adobe said it anticipates the deal closing in the third quarter of its financial year. Magento’s CEO, Mark Lavelle, will join Adobe’s digital experience business, which it’s expected Magento will slip into. The division focuses on marketing analytics and software for managing online advertising. “Adobe and Magento share a vision for the future of digital experiences that brings together Adobe’s strength in content and data with Magento’s open commerce innovation,” Lavelle said in a statement. Magento rival Shopify fell as much as 5.5 percent in extended trading following the announcement. 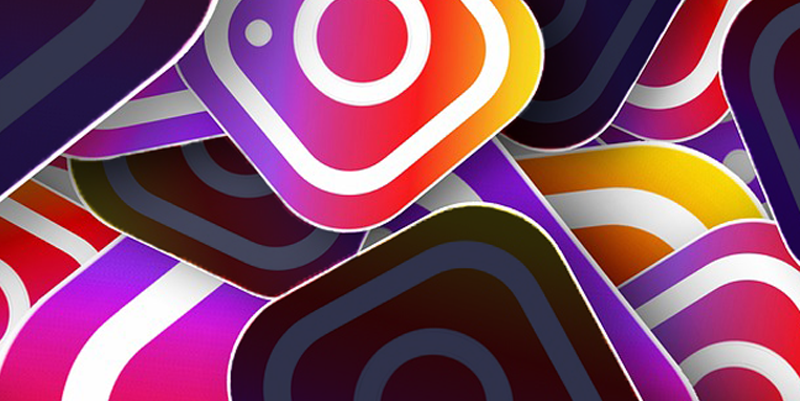 Instagram Announces New “Mute” Feature! 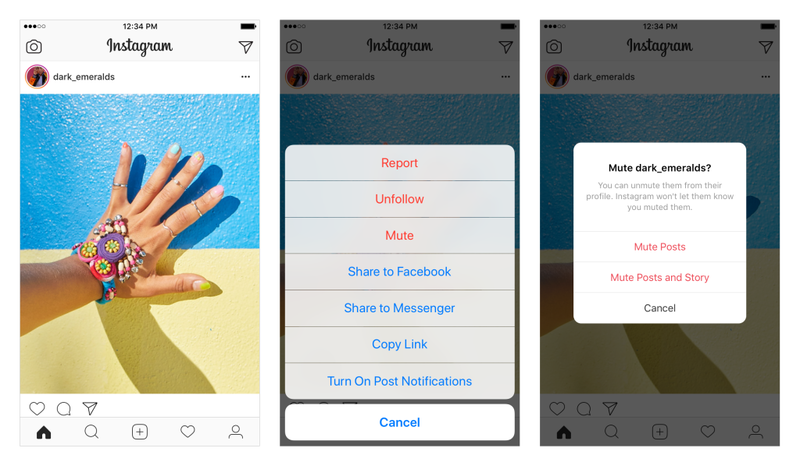 Instagram announces it’s new “Mute” feature! Set to launch within the next few weeks, the new option gives users more control over which posts and stories show up in their feeds. The new “Mute” feature allows users to “turn off” either the posts or posts and stories of people from appearing in their feed without having to unfollow them. So, if by chance, you find yourself missing all those ADORABLE mug shots of Mr. Puddles, the 16 year old, toothless, one eyed pug, just head on over to his profile page to catch up on his latest adventures! To mute poor old Mr. Puddles, simply click on the three dots on the top corner of the post and select “Mute”. 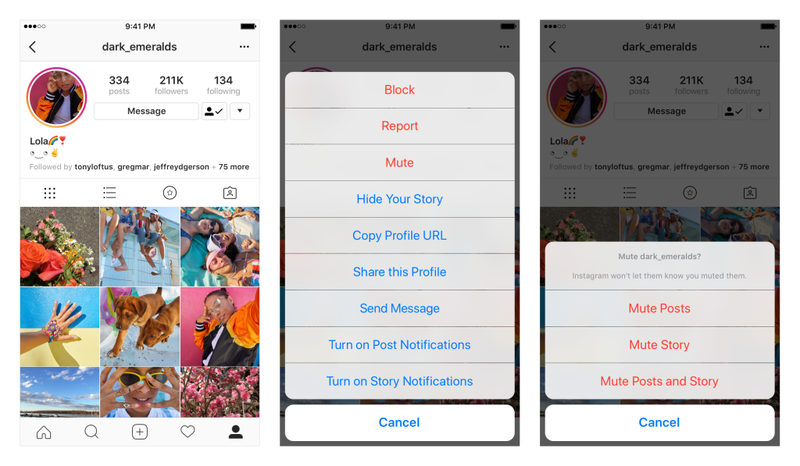 Instagram then gives you the option to Mute Posts, Stories or Posts and Stories. You can always unmute an account to get their posts back in your feed. When you mute an account, you can still see posts on their profile page and get notified about comments or posts you’re tagged in. It gets better! Users won’t be alerted they’ve been muted, so Mr. Puddles adoring mommy will still love you! Bravo Instagram! Facebook revealed Wednesday that as many as 87 million users may have had their personal data shared with Cambridge Analytica. But according to Mark Zuckerberg, it doesn’t stop there. In an interview, Zuckerberg admitted most of Facebook’s 2.13 billion users can “assume” their data’s been scraped thanks to a widely used Facebook apps search feature. Because this feature, by default, was set to “On”, unless you turned it off, your account’s been vulnerable. According to Facebook, the feature has now been disabled. 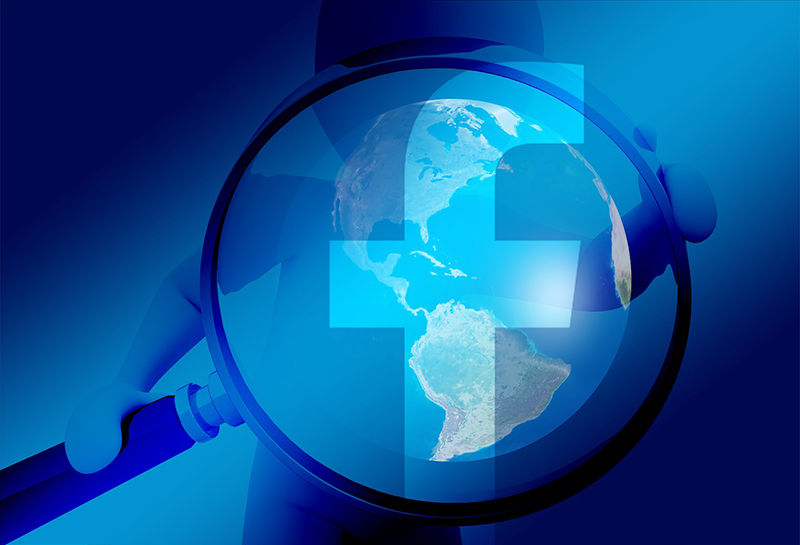 Until today, people could enter another person’s phone number or email address into Facebook search to help find them. This has been especially useful for finding your friends in languages which take more effort to type out a full name, or where many people have the same name. In Bangladesh, for example, this feature makes up 7% of all searches. Is Your Facebook Information Safe? Starting April 9, Facebook will post notices at the top of users newsfeeds if their information may have been shared with Cambridge Analytica. All users will be provided a link at the top of their feeds to see the apps they use, review the information they share with those apps and steps to edit them.